Posted on Oct 26, 2012 by Appleton Downtown Inc. Need a little bling in your life? 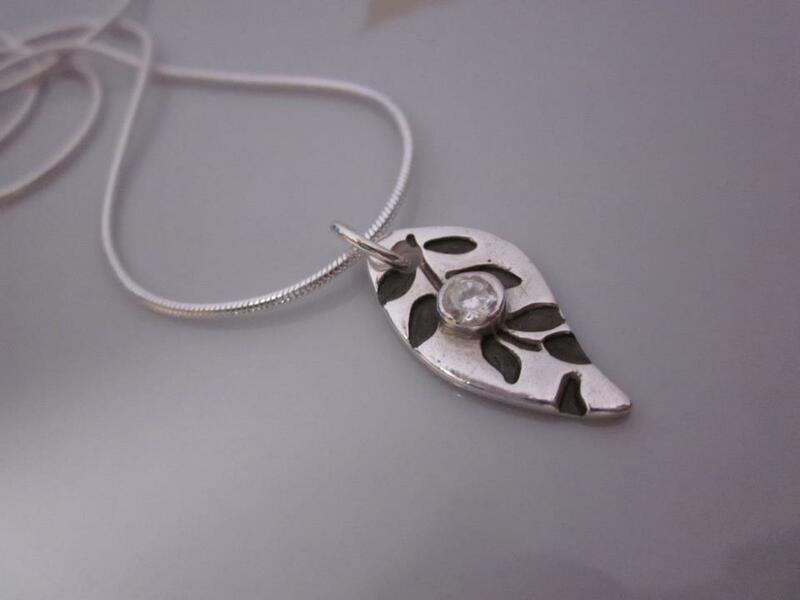 Well then try your hand at making a real silver pendant! Silver artist Jen Dins is teaching a Silver Art Clay class Saturday November 10th from 6:30-10pm at The Fire. Cost is $75 per person and includes instruction to make a pendant with chain, pattern, and gem similar to the photo. We will also have a happy hour with snacks and refreshments and you are welcome to bring your own beverage or snack to share! Treat yourself to a little weekend art fun and sign yourself and a friend or two up. Call or stop into The Fire to pre pay and register.